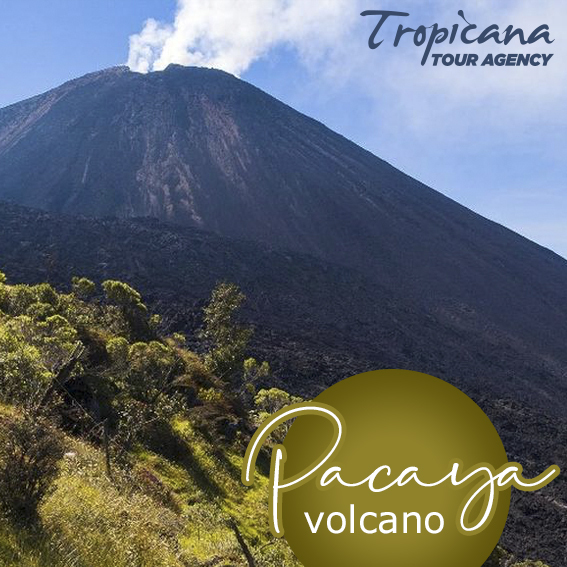 Pacaya volcano is a small active volcano of 2552 meters. This is a half day tour if you leave at 6 am you would be back at 1 pm and if you leave at 2 pm you would be back around 7pm. The hike to the bottom of the crater takes around 1 hour and a half, where the guide would give you marshmallows to put on the hot lava. You get to see really nice views from the top and sometimes when the volcano is active you can see lava. The tour includes a Spanish speaking guide. Please be ready 15 minutes before your bus. There is no refund for any reason: this means that if you can’t do the tour because of sickness, bad weather, hangover, etc… there is no refund, no exceptions. Change of date ofr the tour: In any case it is only possible to chance your tour if you are sick or have an accident. These changes must be made no later than 4pm the day before the tour and only when there are still 3 or more people booked for your tour date. We may require a doctor’s note in order to make these changes. The tour you purchase with Torpicana Hostel are not transferable: if you book a tour with us and for any reason you can’t do it is not possible to chance the name or the client, the only person that can do the tour with the ticket si the person that booked it at first place. If you have any question feel free to ask the staff at the front desk.